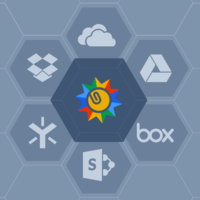 Access files in Google Drive, Box, Dropbox, Office 365, and 15+ other cloud storage services. 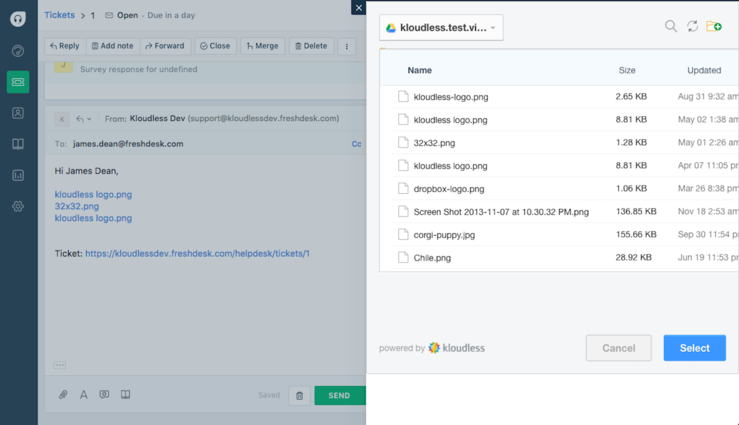 Installing the Cloud Storage app for Freshdesk allows you to insert links in tickets to any file in 20+ cloud storage platforms via the Kloudless unified interface to cloud storage. Agents and customers can share data from any cloud storage service without the need for attachments to be transmitted back and forth. Since the files are not stored in Freshdesk, there are no size limits or upload requirements.